Opening a music venue can be a challenging yet rewarding business venture. Owners of these establishments may find that they are on call 24-hours a day, blurring the lines between their social lives and their work, while struggling to promote and to secure their business. Still, the rewards often outweigh the negatives. Potential owners must understand that running a music club takes more than financial capital. It requires careful planning and execution if the venue is to be successful. Choose a location for the music venue. Examine different neighborhoods, taking into account the type of businesses that already exist as well as property values and tax rates. Music Week recommends researching rental rates and property values first, and then looking at the potential customer base in each area to determine which place is best suited for a business like yours. Call district council offices and community business organizations to see if any restrictions or support programs apply to your particular business in the area you choose, and become thoroughly acquainted with promising locations to make sure that setting up your music venue will be feasible, both financially and commercially. Get a fair deal on your lease or mortgage after you decide on a property. Hire a lawyer if necessary to negotiate consistent rental or interest rates and to ensure that your payments will not skyrocket after the initial start-up period. Set up utilities for your new property and take out an insurance policy to protect the business investment. Decorate the interior of the club and make sure that all arrangements comply to local building and fire codes. You need to address all of these issues: bathroom conditions, venue capacity, seating arrangements, emergency exits, sound-proofing and handicap access. Music Week also mentions additional tasks that should be completed at this stage such as applying for liquor or food licenses as well as obtaining a premises license. Get the necessary equipment to run your music venue. Acquire key items like a PA system, microphone cords, speakers and stage lights. Stock up with more than one of each item as a fail-safe in case any of the equipment malfunctions during a live performance. Hire staff for the music venue. VolumeOne.org lists a number of common staffing needs such as doormen, security guards, bartenders, waitresses, cooks, dishwashers, sound technicians, booking agents and cleaning personnel. Anticipate the cost it will take to pay all of your employees and to cover workers' benefits such as health insurance. Obtain employee's tax documents prior to launching. Advertise your music venue. Take out ads in the local newspapers and magazines, or buy commercial slots on television and radio. Recruit teams to pass out flyers at local coffee shops, colleges, nearby concert spaces and other places with high concentrations of potential customers. Design a website and join social networking sites like Facebook and Myspace to enlarge your audience and to make more people aware of what your venue has to offer. Book a lineup of bands or music groups to perform at your venue. Network with local and national acts to see which performers might be interested in playing at your establishment, and use the internet to facilitate booking inquiries. Decide how bands will be compensated. 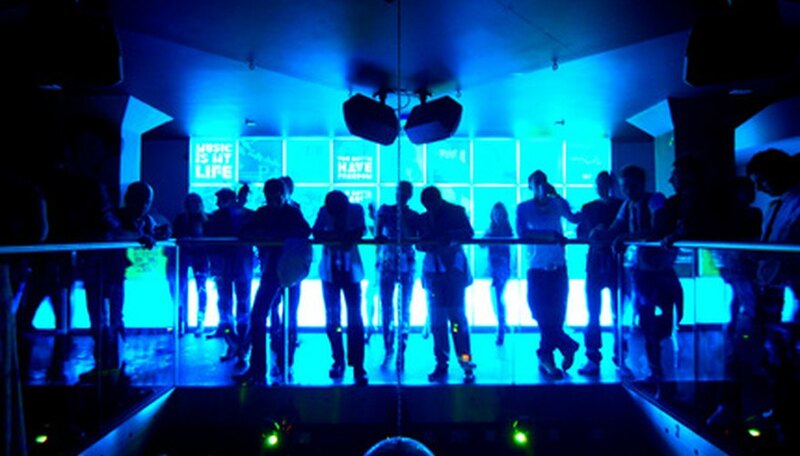 Some clubs offer bands all or part of the revenue from the event cover charge taken at the door, while other venues pay a set fee to well-known artists or provide amateur performers with free drinks and other perks. Don&#039;t be discouraged if business is slow at first. It may take some time and additional effort to get your music venue up and running. Set realistic expectations and be aware of the risks involved in starting up a music venue. There is a chance of failure if you do not make proper calculations and business decisions or if the market falters.